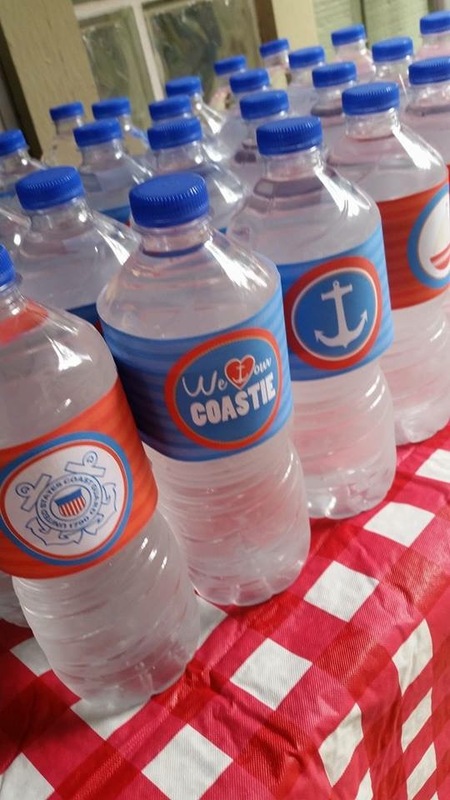 My brother decided earlier this Spring that he wanted to pursue a career in the Coast Guard. 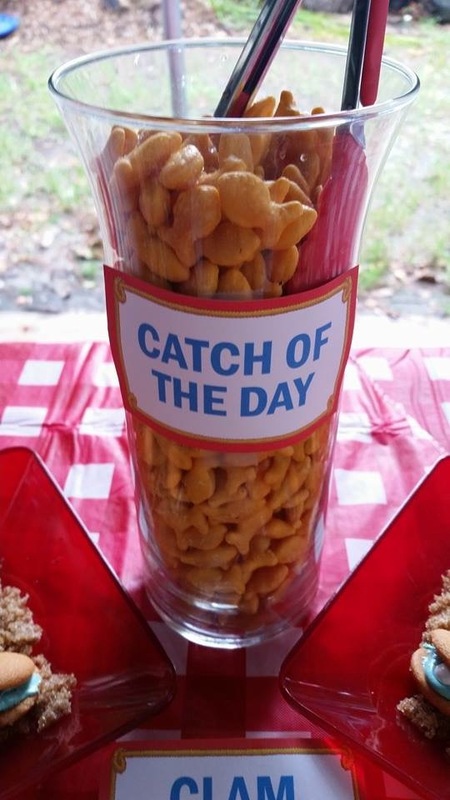 Flash forward two months and now he is preparing to ship off to basic training. 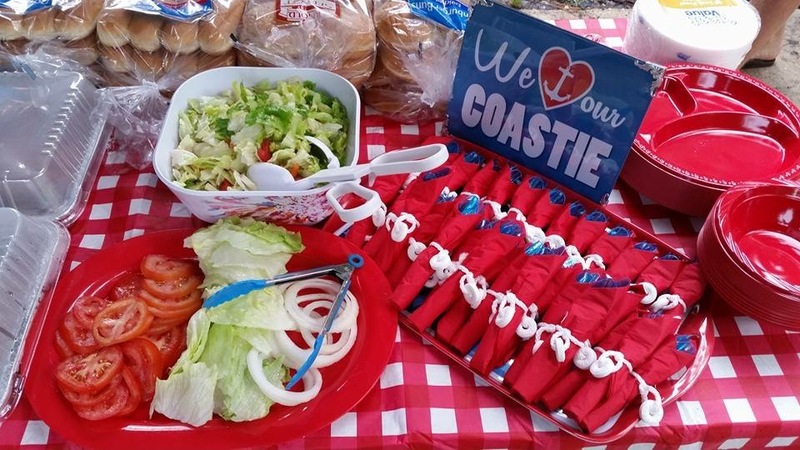 I wanted to make his send off party extra special, so together with my dad’s awesome watermelon carving skills and my mom’s delicious cooking, we planned a party sure to send him off in style. 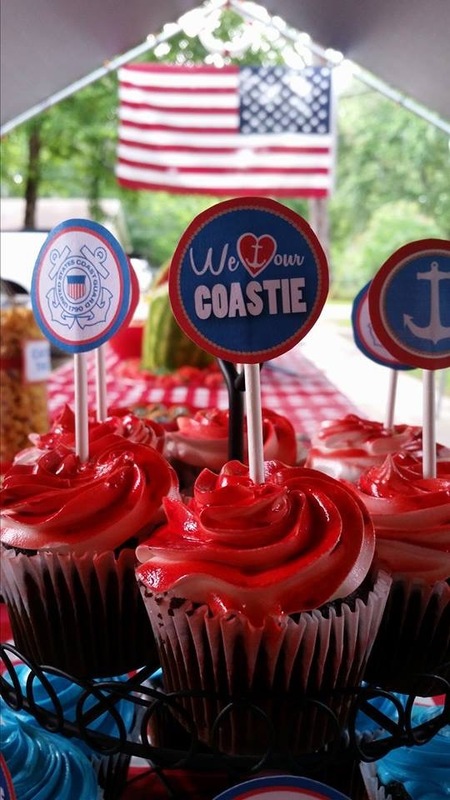 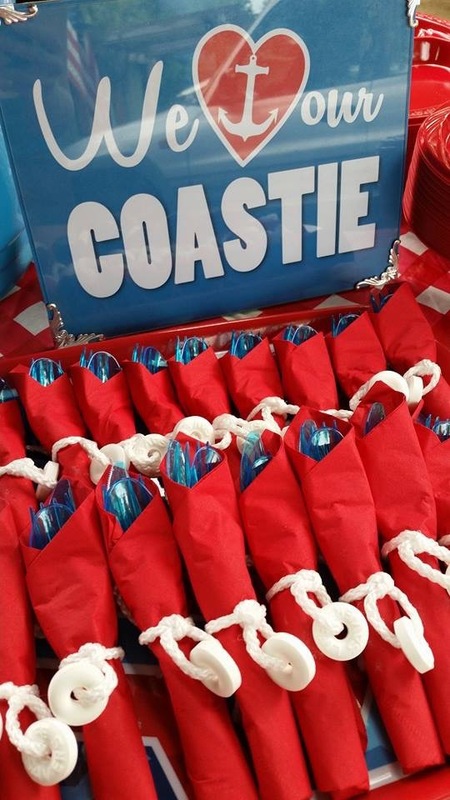 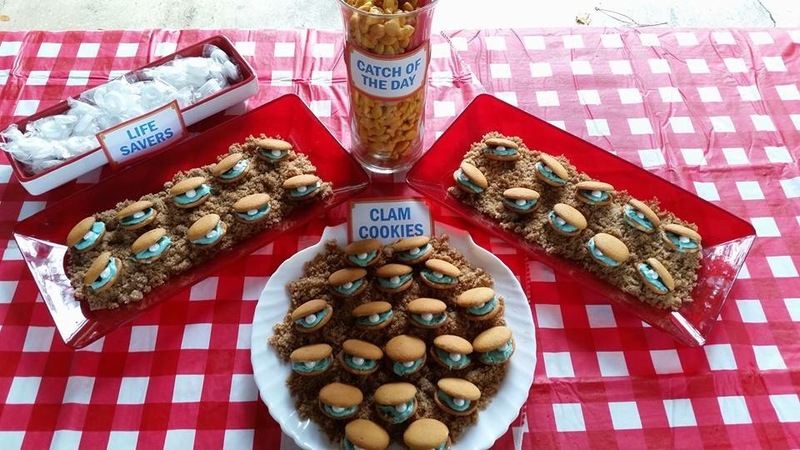 The menu was full of all-American comfort foods (hamburgers, hotdogs, mac and cheese, etc) with a touch of themed foods to make it fun! 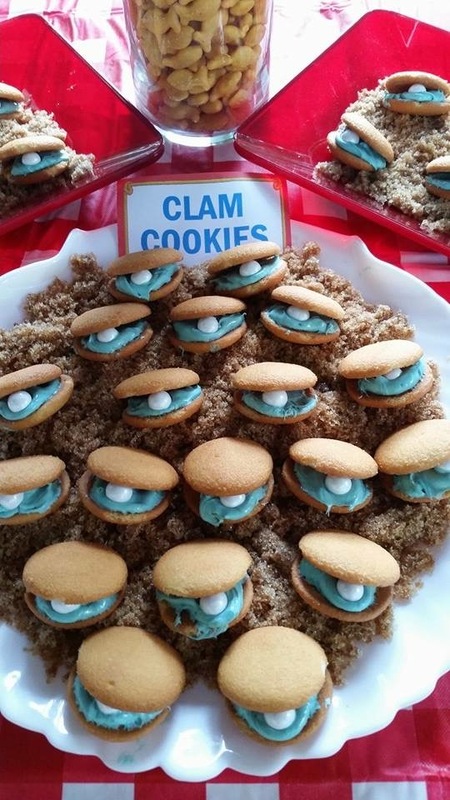 We had clam cookies made from vanilla wafer cookies, icing and pearl hard candies, displayed on plates of brown sugar to mirror the look of sand. 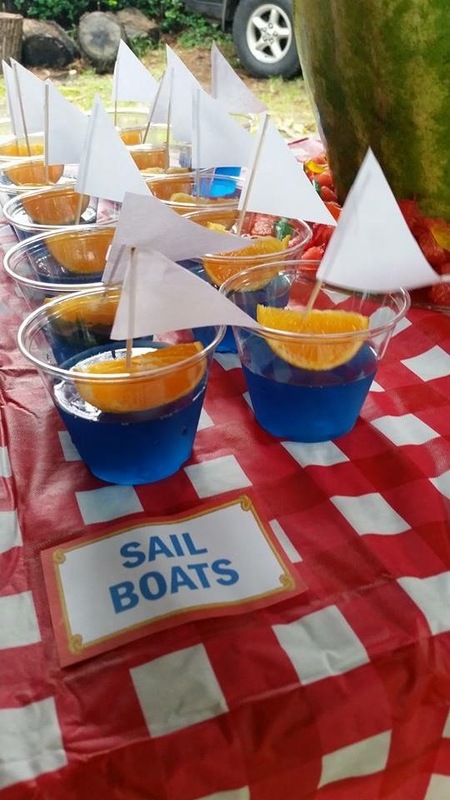 We also had sail boat cups that were made from blue jello with orange slices and white paper sails. 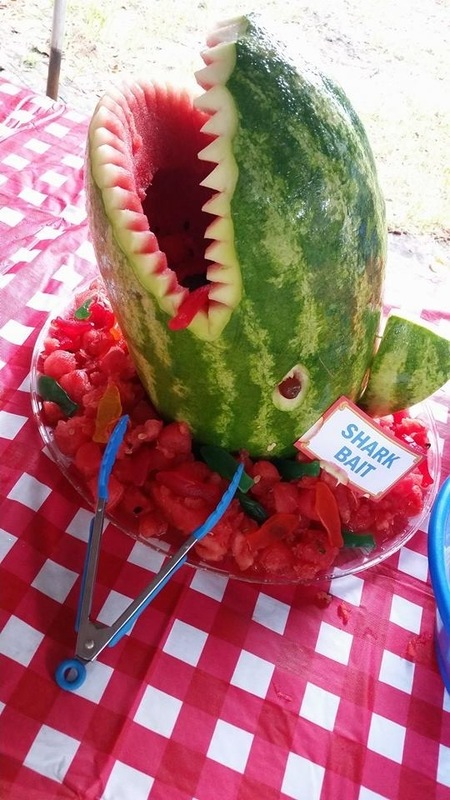 The centerpiece of the display was the watermelon carved shark which was certainly the talk of the party.